Tida’s love for meditation inspired her to try Yoga and she has not stopped. 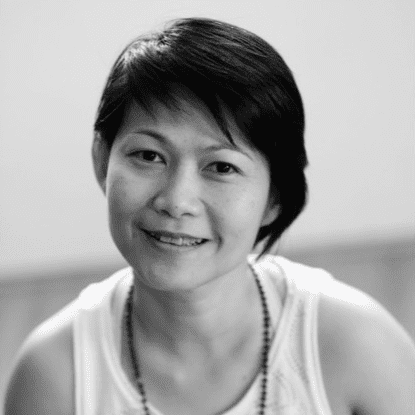 Tida is a 500hr certified Vinyasa Yoga teacher and she has also trained in Prana Vinyasa and Forrest Yoga. Both Prana and Forrest Yoga focus on embodying yoga and using it your every day life and this is what Tida encourages. In her class, Tida uses the breath as a tool to connect with body to heal and nurture the body and mind. Tida can tailor the class to the suit the students based on their experience with yoga. So whether you are a beginner or an experienced yogi, you can be sure Tida can accommodate. This class will be a balance of gentle movements (hatha) and more dynamic flowing movements (vinyasa) incorporating a blend of all different types of yoga. Pregnant women past their first trimester are invited to attend (1st trimester only for experienced yogis) and ages 12 and up.